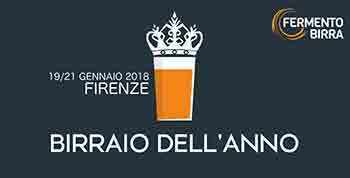 From Friday 19th to Sunday 21th January 2018 the event called Birrario dell'anno takes place at the Obi Hall theatre in Florence. This contest awards the best craft beer maker. Visitors have at their disposal an offer of more than 100 craft beers. There will be also many Street Food tasting events.